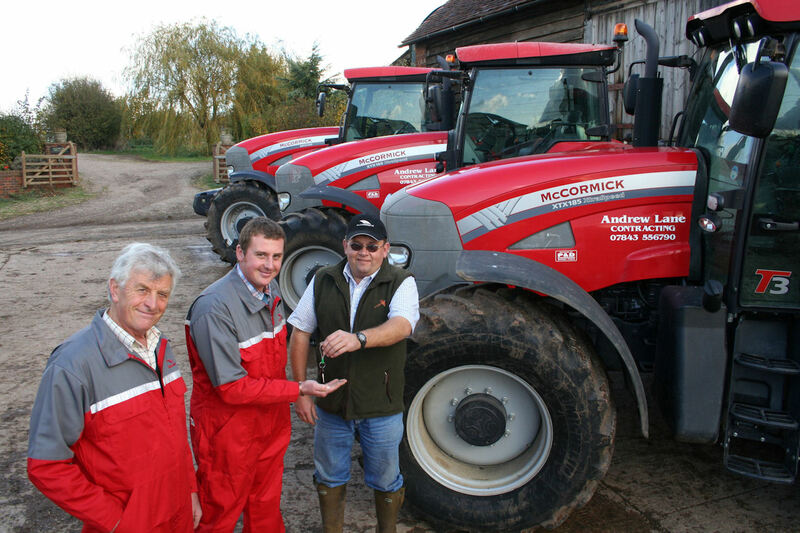 Recent customers include farmers and contractors Andrew (centre) and Roger Lane of Chaceley Hall Farm near Tewkesbury who received the keys to three McCormick six-cylinder tractors from Anthony Wilkes of P&D Engineering. Farmers in Gloucestershire, Worcestershire and surrounding counties who take time out to attend an Open Day at a Bredon-based farm equipment business will be treated to a Hog Roast and some mouth-watering special offers on selected McCormick tractors. “We haven’t had an open day for some years and thought it was time to thank customers for their support and remind everyone about what we do here,” says Mike Pullin of P & D Engineering. “Since starting the business with my wife Penny in 1976, the company has earned a good reputation for servicing and repairing farmers’ machinery. The Open Day at P & D Engineering’s premises off Fleet Lane, Bredon, Gloucestershire on Wednesday, March 6, will start at 11am and run through to around 8pm in the evening. Manufacturers will stage their own exhibits to show the latest products and technology available for efficient livestock and arable farming. Salesman Anthony Wilkes says: “We’ll have some cracking deals on McCormick MC and MTX tractors – ideal for someone wanting a proven and straight-forward, reliable machine that’s excellent value for money. New Merlo telehandlers, grassland machinery from Vicon, a new franchise taken on by P & D Engineering last year, Farr ATVs, Reco ploughs and power harrows, Köckerling cultivators and drills, BvL diet feeders and sheep and cattle handling systems from Modulamb and Ritchie will also feature on the day, together with a good selection of second-hand tractors and equipment.